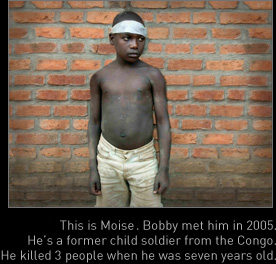 These once anonymous children were now being seen by millions of people around the world. An incredible homage. But make no mistake, this project is not about charity. Quite the opposite – and in line with Bobby’s philosophy outlined in the book: FROM CHARITY TO PHILANTHROPY. Every child needs to earn a ball – with our partner organizations setting goals around team dynamics and sportsmanship. 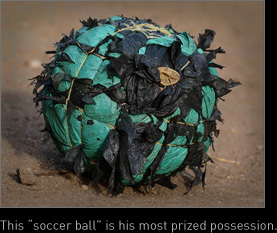 This will make the receipt of the ball - and trading in of their old, beaten up balls – that much more powerful. 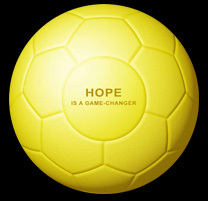 HOPE IS A GAME-CHANGER PROJECT, making it a tangible way for people to take a "concrete baby step" and deliver hope. Below are also eyeball-to-eyeball volunteer opportunities should you be interested in taking another step.